In the spring of 2003, at the direction of Our Lord, Anne began to record a spiritual journal. This would come to be known as Volume One, Thoughts on Spirituality. This was the beginning of her role as Anne, a lay apostle for the Apostolate of Jesus Christ the Returning King. In July 2003, Jesus indicated to Anne that her journal was to be published and disseminated. So Anne continued to record. In the beginning, she thought there would be just one book, and recalls how excited she was when that book was completed. “I felt such a tremendous relief to have it finished,” Anne says. But Heaven had a larger plan than one book. “Well done,” Jesus told her. “Now you must be with your children on the weekend. On Monday, we will begin a new Volume.” Months later with Volumes One, Two and Three completed, Jesus told Anne to show them to her bishop. Anne submitted the writings to Bishop Leo O’Reilly of the diocese of Kilmore, Ireland and Fr. John Murphy, her parish priest, and began to meet with both men regularly. Also around this time, Fr. 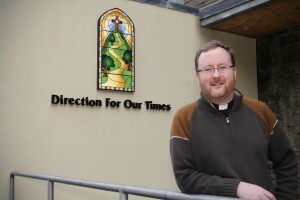 Darragh Connolly of the diocese of Kilmore, Ireland began working part time with Fr. John Murphy and Anne at the request of Bishop Leo O’Reilly. Fr. Darragh was eventually assigned full time in June 2006 by Bishop O’Reilly. In August 2003, Anne’s friend contacted Jim Gilboy, owner of CMJ Marian Publishers, and asked him to consider publishing the books. Jim indicated that he had no interest in publishing any other private revelations. He ended the conversation with “I work for Our Lady, so drop them off and I’ll look them over.” Jim reviewed the messages and met with Anne and after receiving permission from Bishop Leo O’Reilly, Jim printed the first copies Volumes One through Four in December 2003. 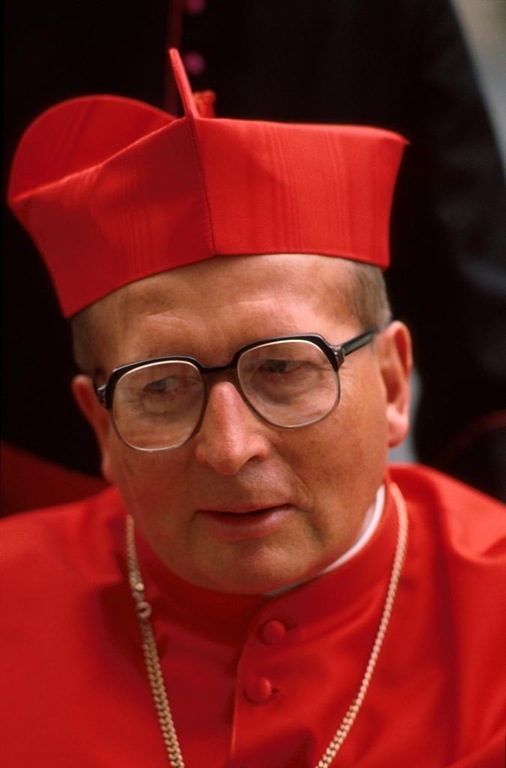 Cardinal Deskur agreed to take the twelve personal messages to Pope John Paul II the next day at their brunch on Easter Sunday. He kept a copy of the four Volumes as well as Anne’s personal journal. The Cardinal directed Jim Gilboy to take a copy of the Volumes to (then) Cardinal Ratzinger’s office, which he did. On Easter Sunday, the group was privileged to sit on the same platform as the altar for Easter Sunday mass. After mass, they saw the Cardinal moving toward his van to attend brunch with the Holy Father. Some religious sisters accompanied him carrying the sealed envelope containing the personal messages for Pope John Paul II. By the end of May 2004, publication of Volumes One through Four had been completed and the process of disseminating them to religious bookstores and the general public began. In September 2004, Archbishop Philip Hannan of New Orleans, Louisiana began reading the Volumes. He was so inspired by these words from Heaven that he decided his FOCUS Worldwide Television Network needed to play a role in getting the Volumes distributed quickly. He spoke with Anne’s bishop, met with Anne and filmed a series of interviews with Anne and her team. These programs that began to be aired in October 2004 launched the mission throughout the United States. On October 15, 2004, Anne recorded the last message for Volume Ten. Jesus indicated that this body of work, The Volumes, was now complete. Volume Six was published in October. At the end of October, two religious sisters returned to Rome to deliver the remaining sets of the Volumes to the Congregation for the Doctrine of the Faith and to Cardinal Deskur. The Cardinal received the remaining Volumes. Volumes Seven, Nine and Ten were published in December 2004. At that time Bishop Leo O’Reilly withheld his permission to print Volumes Five and Eight. He would decide at what time they could go to print in the future (These Volumes have been released and printed in 2013). Also in December 2004, Anne received the first monthly messages from Jesus. On the first of every month Our Lord began giving messages to the world. Due to continued growth of the mission, in December 2004, the nonprofit organization Direction for Our Times was formed. It was created to focus specifically on the mission of spreading the messages revealed to Anne, a lay apostle around the world. The USA office for Direction for Our Times was located in Alsip, Illinois and was later moved to Justice, Illinois just outside Chicago. The Ireland office for Direction for Our Times was located in Bailieborough, County Cavan and was later moved to Cavan, County Cavan. Archbishop Philip Hannan, since he had begun to use his FOCUS Worldwide Television Network to promote and distribute the messages recorded by Anne, a lay apostle, decided he should meet with Andrzej Maria Cardinal Deskur and members of the Congregation for the Doctrine of the Faith in Rome in order to inform the Holy Office that the demand for these books was very great and that they had an excellent effect on those who read them. So in January 2005, Archbishop Hannan went to Rome for this purpose. There he met with Anne and Cardinal Deskur and a few others together, and also he had a private meeting with Cardinal Deskur. He also met with other members of the Congregation for the Doctrine of the Faith including Fr. Anthonly Randazzo. Fr. 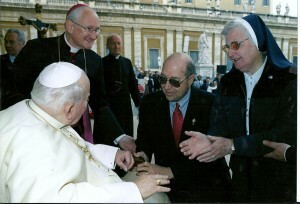 Randazzo clearly stated that he had no criticism of the decisions and actions of Bishop Leo O’Reilly regarding the handling of the messages recorded by Anne, that it was too early yet for the Holy Office to make a decision regarding Anne’s messages since it had only been happening for two years, and that the Holy Office wished to allow the messages to continue and to have Bishop O’Reilly continue to report the events to the Holy Office. In April 2005, Direction for Our Times hosted the first Eucharistic Day of Renewal in Tinley Park, Illinois. There would be many more of these EDR’s in the future at various locations around the world. These have been days that include talks, prayer, confession, mass and adoration of the Blessed Sacrament. Jesus has promised great graces to be given at these Eucharistic Days of Renewal. In May 2005, Jesus gave Anne a set of guidelines for those called to serve Jesus in this mission of mercy. Bishop Leo O’Reilly gave permission for the formation of the Lay Apostolate of Jesus Christ the Returning King whose members would follow these guidelines to the best of their ability. In following these guidelines, lay apostles around the world have since formed hundreds of lay apostle prayer groups that meet on a monthly basis. For more information on the Lay Apostolate and the guidelines, click here. That summer Direction for Our Times hosted its first monthly lay apostle prayer group at St. Anne’s Church in Bailieborough, Ireland, which would continue to meet regularly on the first Thursday of every month. As these prayer groups continued, Anne would many times be present to give a short talk. Later these talks were streamed live over the Internet and also recorded. 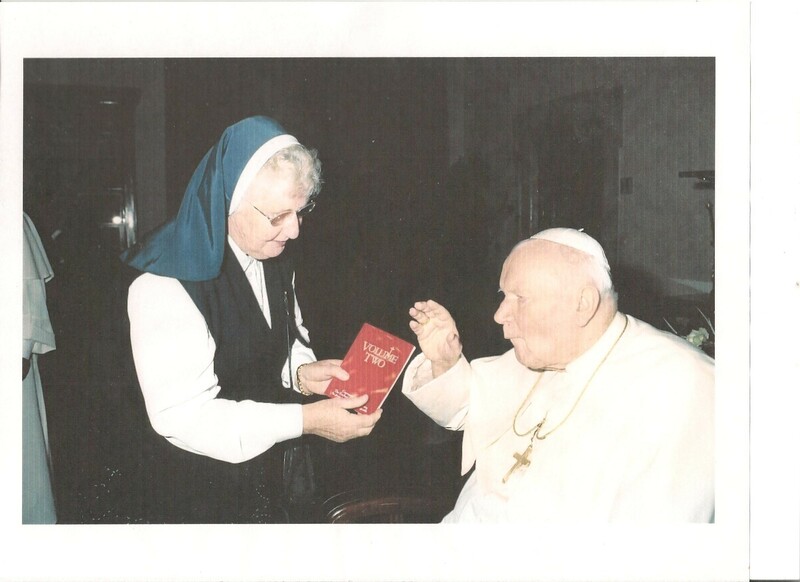 In June 2005 Our Lord directed Anne to begin recording a series of ten short booklets with messages from Jesus, Mary and the saints for specific groups of souls. They became known as the Heaven Speaks booklets. Near the end of the summer of 2005, Jesus brought Anne mystically with Him to Heaven. Anne spent time over the next two weeks journeying and recording what she describes as “the tip of the tip” of what awaits us in Heaven. Following this Jesus directed her to write about the lessons she learned in her personal journey to sanctification. Here, Jesus gave Anne topics and asked her to write about them. The book, Climbing the Mountain, was the result of her Heavenly experiences and Our Lord’s instructions. In September 2005, the first issue of the Direction for Our Times newsletter was released. This newsletter has continued to bring news of the apostolate to lay apostles around the world four times a year. That month Anne received a series of locutions from St. Faustina. These messages can be found in Climbing the Mountain. She told her that Anne’s mission and St. Faustina’s mission were destined to be joined. The next month, October 2005, Anne was invited to go on a brief pilgrimage to the International Divine Mercy Shrine in Krakow, Poland. While there, she met with the Mother Superior of the order to which St. Faustina belonged, the Congregation of the Sisters of Our Lady of Mercy. After sharing her experiences with the Mother Superior, the Mother Superior realized that a painted image of Jesus that she had received should actually go to Anne. It was the image of Jesus Christ the Returning King. That December 2005, Climbing the Mountain was published. And in the beginning of 2006 Anne was taken mystically with Jesus to purgatory. She recorded her experiences. These and other writings became the book The Mist of Mercy published in July 2006. 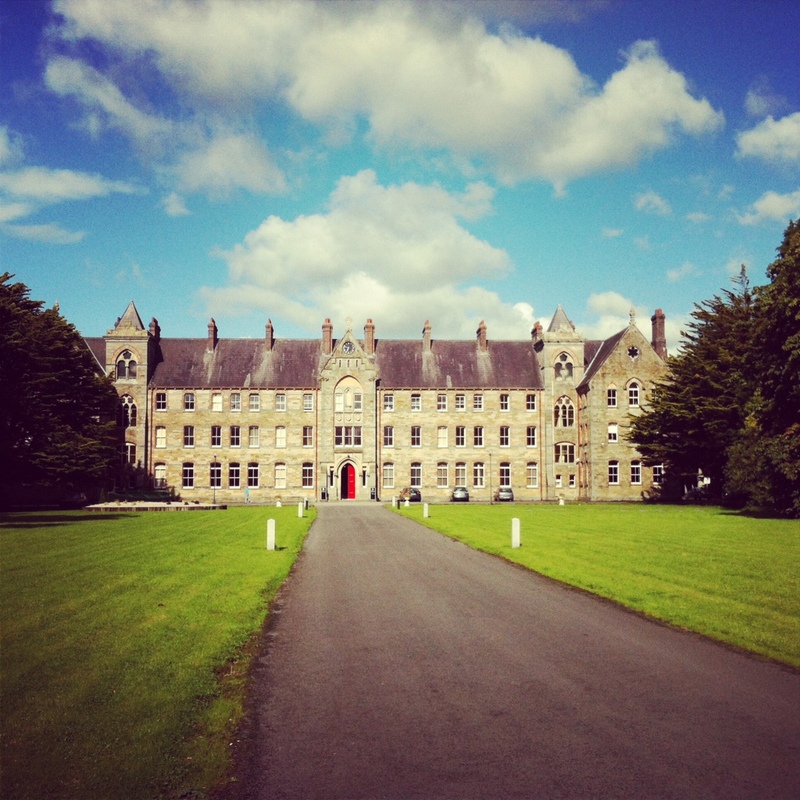 In the summer of 2006, Jesus spoke to Anne about the Holy Trinity Abbey in Kilnacrott, Ireland. This was an abbey run by an order of Norbertine priests. Jesus told Anne he wanted Direction for Our Times to purchase the abbey. It would become a site of pilgrimage for the apostolate. Anne received visions on what the place would become, and Jesus showed her the great graces that would be given to those who came to pray at the abbey. Direction for Our Times began the long process of raising funds to purchase the abbey and arranging a purchasing agreement with the Norbertine priests living there. 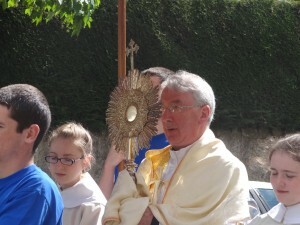 In June 2006, Bishop Leo O’Reilly assigned Fr. Darragh Connolly to be the full time chaplain to Direction for Our Times. He also wrote a public letter expressing his current position on Anne and Direction for Our Times. Then in August and September 2006 Anne received a series of messages from Jesus and Mary, Our Blessed Mother, about the New Time which would form part of the book, Serving in Clarity. Following that, in Advent 2006, Jesus directed Anne to record messages for ten more Heaven Speaks booklets with messages from Heaven directed to specific groups of souls. This completed the Heaven Speaks series. Also in December 2006 Anne received mystical visions of the mountain of holiness which would form part of Serving in Clarity. In Spring 2007 Anne began recording her experiences of mystical visions that would form part of the book Lessons in Love. In August 2007 Direction for Our Times published Anne’s writings called In Defense of Obedience & Reflections on the Priesthood. And then nearly a year later in July 2008, Serving in Clarity was finally published containing messages from Jesus and Mary about the New Time, visions of the mountain of holiness and much more. Then in September 2008, Anne received mystical visions of the church in various circumstances. These were called the Purity of the Church visions and would form part of the book Whispers from the Cross. In 2008, the office of Direction for Our Times in Ireland was beginning to feel overwhelmed with the amount of work they had for their very small number of staff. Jesus told Anne that He was sending help. 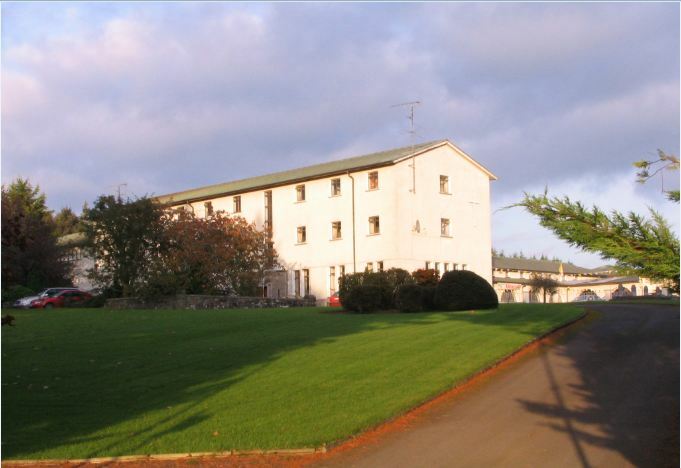 During the summer of 2008 Direction for Our Times prepared to open two discernment houses in Ireland, one for young men and another for young women. During this time several young men and women had been led by the Spirit to Direction for Our Times all in different ways but converging at the same time that Direction for Our Times was planning to open these discernment houses. 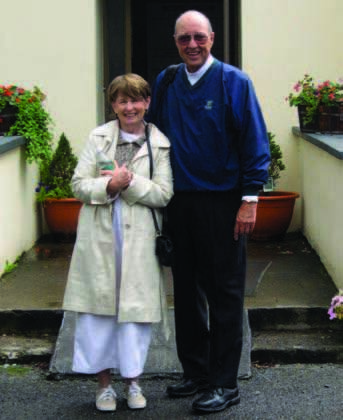 Anne received permission from Bishop Leo O’Reilly to open these houses in Bailieborough, Ireland, and on October 1, 2008, the two discernment houses opened with four young men (3 Americans, 1 Irish) and 3 young women (1 American, 2 Irish). These young people dedicated a year to discerning their vocations while working directly with Direction for Our Times. They helped to put on several retreats for high school students in Ireland and helped with all other aspects of spreading the messages of Jesus Christ the Returning King. Several young people continue to discern their vocation while helping spread the mission by working with Direction for Our Times. On June 8, 2009, Bishop Leo O’Reilly setup a diocesan commission to examine the writings of Anne, a lay apostle, and to evaluate her reports of receiving these Heavenly messages. The commission has concluded its work. As stated in a public letter by Bishop O’Reilly in September of 2011, the outcome of the commission will be made public in due course. The locutions given to Anne continued. 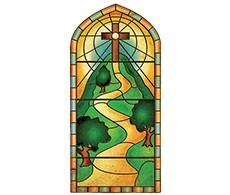 In January 2010 she recorded a series of messages from Jesus which would form part of the book Whispers from the Cross. And then by Christmas of 2010, the next book by Anne, a lay apostle was released, Lessons in Love. In September 2011, Bishop Leo O’Reilly wrote another public letter reiterating his current position on Anne and Direction for Our Times, reaffirming his permission for the writings to be printed and disseminated. A few months later in December 2011 Whispers from the Cross was published. At the same time two other books were published, Jesus Speaks to Children and Mary, Our Blessed Mother, Speaks to Children. These two books took the messages from Jesus and Mary to children in Volume Six and put them in separate books along with beautiful illustrations of Jesus and Mary with children. In August of 2012, Direction for Our Times compiled all the twenty Heaven Speaks booklets into one book called the Heaven Speaks Compilation. This was originally created for prisoners so they could have all the booklets in one book. In August it was released to the public. There was another significant event in the history of the mission that month of August 2012. Finally after years of fundraising, negotiating and patiently waiting, the purchase of Holy Trinity Abbey was completed. Direction for Our Times came into full ownership of the abbey. Direction for Our Times has agreed to allow the Norbertine priests who live there and had owned the place to continue to live there for three years. Afterwards, Direction for Our Times plans to work on much needed renovations and other building projects for the site. In July of 2012, Jesus notified Anne that the next month she would receive the last monthly message from Jesus to the world. On August 1, 2012 she received the last monthly message which completed this body of work which was later compiled into one book and published in December of 2012, called Monthly Messages. In January 2013, Bishop Leo O’Reilly granted permission for Volume Five and Volume Eight to be printed and released. Finally, after being recorded more than eight and a half years earlier, Volume Five was printed and released in February 2013. Volume Eight was printed and released in August 2013. What began with a mother and wife’s simple obedience to Jesus in recording a spiritual journal has turned into a worldwide mission of mercy, a rescue mission for souls spanning the globe. Through these messages from Heaven people have received beautiful and powerful graces that have drawn them deep inside the heart of Jesus and His Church. The messages continue to spread and be translated into numerous languages by the efforts of Direction for Our Times and dedicated lay apostles around the world.